What is a Cell in Biology (in Human Body)? Why the Cell is the basic Unit of Life? Cell is the fundamental structural and functional unit of all living organisms. Anton Von Leeuwenhoek first saw and described a Live Cell. Robert Brown later discovered the Nucleus. 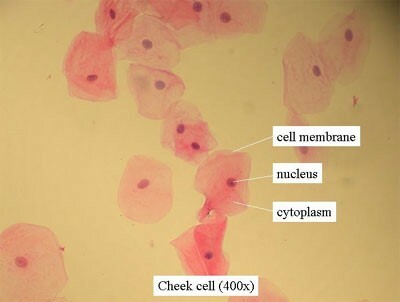 There are different types of cells present in human body. The largest cell in the human body is Ovum in females. And the smallest cell in the human body is Sperm. Apart from these, brain contain nerve cell or neurons, liver cells are known as Hepatocytes, Kidney cells are known as Nephron etc. Every living organism such as plants and animals are made up of cells. So, cell is considered as the basic unit of life. Cells perform different functions in different parts of the body. For Example: Neuron transmits information from brain to different parts of the body. Nephron is a structural and functional unit of kidney. Nephron helps in removal of nitrogenous waste from the body. Cells perform variety of metabolic reactions such as breakdown of complex molecules to release energy. Cells also synthesizes new molecules required by the body. In 1838, Matthias Schleiden, a German botanist, examined that plants are made up of large number of cells. Theodore Schwann (1839), a British Zoologist, examined that animals are also made up of cells. Later on, Rudolf Virchow explains that cells arise from pre-existing cell. This is known as Omnis cellula-e cellula. All organisms: plants and animals are made up of cells. All cells arise from the pre-existing cells. Bacteria, blue green algae, mycoplasma and PPLO (Pleuro Pneumonia Like Organisms) represents prokaryotes. The cell of prokaryotes is known as Prokaryotic Cells. These cells are small in size and multiply at a faster rate. Prokaryotes have outermost covering known as Cell Wall, except in mycoplasma. It includes protists, plants, fungi and animals.They have cell organelles separated by a membrane. 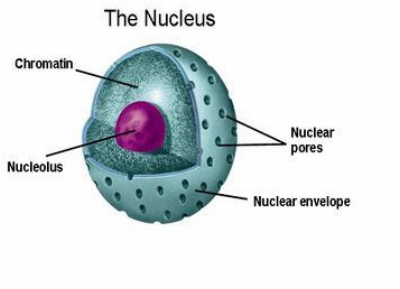 They have well developed nucleus separated by a nuclear membrane. 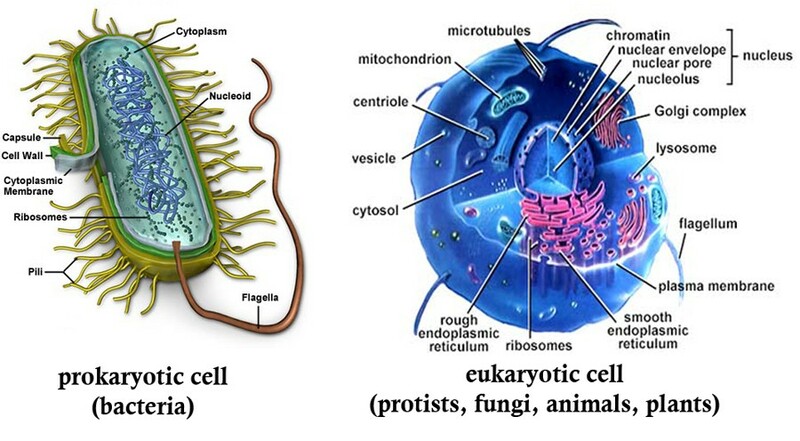 In eukaryotes (higher organisms), cell is surrounded by a membrane known as Plasma Membrane or Cell Membrane. Plasma membrane is made up of lipids and protein. 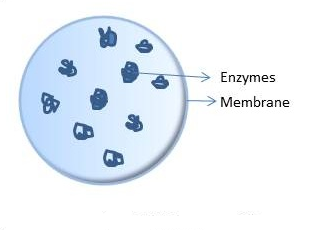 This membrane is selective or semi-permeable in nature, that is, it allows only certain molecules to enter the cell while remaining left outside the cell. Plant cell is surrounded by cell wall. Cell wall is made up of polysaccharide known as Cellulose. Cellulose provides strength and rigidity to the cell. Bacteria have outermost envelope known as Glycocalyx. Glycocalyx is followed by cell wall and then plasma membrane. It is protective in nature. According to cell envelope or staining procedure, bacteria is classified as gram negative and gram positive. Bacteria that can be stained using gram stain are known as Gram Positive bacteria whereas those which are not stained are considered Gram Negative bacteria. If glycocalyx is a loose sheath, then it is known as Slime Layer whereas if it is thick and tough it is known as Capsule. According to this model, plasma membrane is composed of phospholipids, cholesterol, and proteins and exists in fluid state. 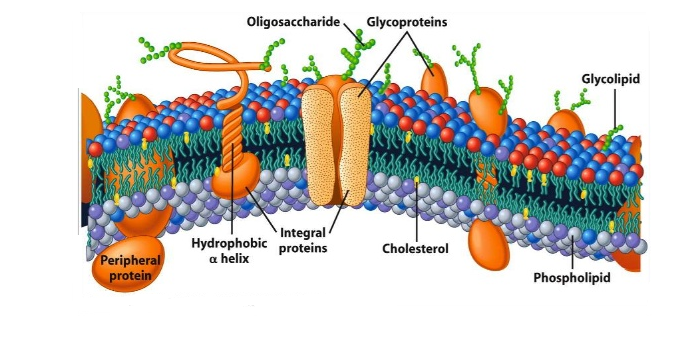 The outer face of membrane contains glycoproteins ad glycolipids. Glycolipids are carbohydrates attached to lipids whereas glycoproteins are carbohydrates attached to carbohydrates. These are the sites of protein synthesis. They are composed of two subunits- 50S and 30S subunit. These subunits together form 70S unit. 70S ribosome is present in bacteria. Eukaryotes contain 80S ribosome. The subunit of eukaryotic ribosomes is 60S and 40S. 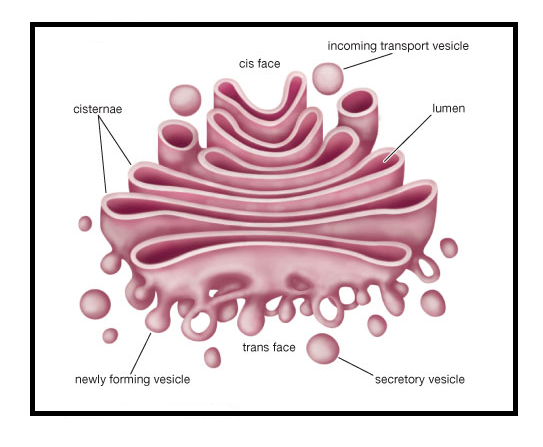 In prokaryotes, reserve material is stored in cytoplasm is the form of inclusion bodies. It includes nucleus, Endoplasmic Reticulum, Mitochondria, Lysosomes, Golgi Apparatus, Plastids in plants and vacuole. A network of tubules spread in a cytoplasm is known as Endoplasmic Reticulum or ER. Inside of the ER is known as Lumen whereas outside the lumen is known as Extra Luminal. There are two types of ER- Rough ER and Smooth ER. 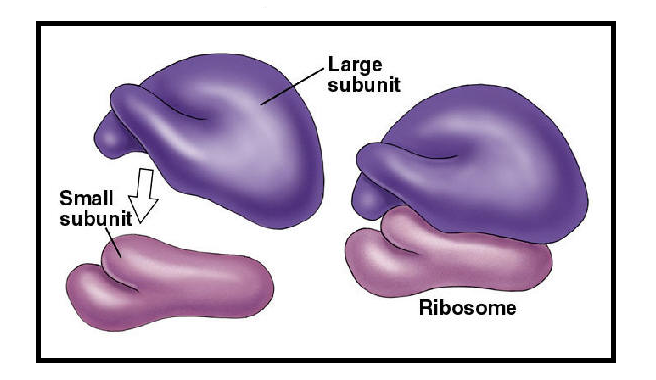 Rough ER is covered by ribosomes whereas smooth ER do not contain ribosomes. Rough ER is involved in protein synthesis and smooth ER is involved in fatty acid synthesis and detoxification. Camillo Golgi first observed this structure. They consist of many flat, disc-shaped sacs or cisternae of 0.5μm to 1.0μm diameter. They are arranged near the nucleus. The side facing the nucleus is known as Cis Face whereas side away from the nucleus is known as Trans Face. It is primarily involved in secretion process. It packages the materials in vesicles and helps in transportation to different cell organelles as well as outside the cell organelle. These are more prominent in plant cells as compared to animal cells. It contains water, sap and excretory product. 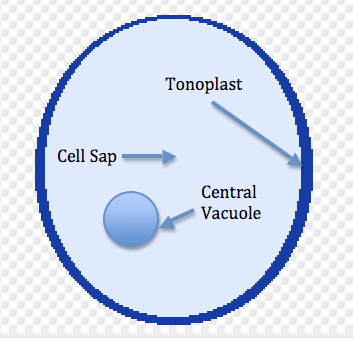 The vacuole is bound by a membrane known as Tonoplast. Amoeba contain vacuole-like structure known as Contractile Vacuole. This is essential for excretion. It has a double membrane structure – The Outer membrane and Inner membrane. The inner membrane is folded to form a structure known as Cristae. It is a site for ATP synthesis. The outer membrane and inner membrane is separated by intermembrane space. The inner compartment is known as Matrix. 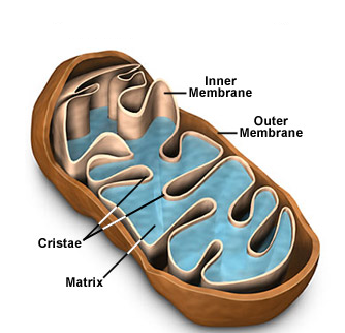 DNA and ribosomes are present in the matrix of the mitochondria. These are found in plant cells. There are three types of plastids- Chloroplast, Chromoplast and Leucoplast. Chloroplast contain a green pigment known as Chlorophyll. The leaves appear green due to the presence of chlorophyll in it. The central atom present in chlorophyll is magnesium ion. Chlorophyll is essential for photosynthesis. Chloroplast is double membrane structure-inner membrane and outer membrane. The space limited by the inner membrane of the chloroplast is called the stroma. 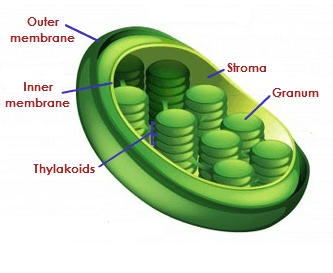 Stroma contain flattened sac-like structure known as Thylakoids. It is site of photosynthesis. Thylakoids are stacked upon each other to form grana. Each granum is connected with another granum by a lamella. Similar to mitochondria, chloroplast contain DNA and ribosomes. Chromoplast provides color to flower and fruits. The pigment present in chromoplast are carotene which provides red color and xanthophyll which provides yellow-orange color. Leucoplast are of different types such as amyloplast for storage of starch, aleuroplast store proteins and elaioplast stores oil and fats. It is a double membrane structure. 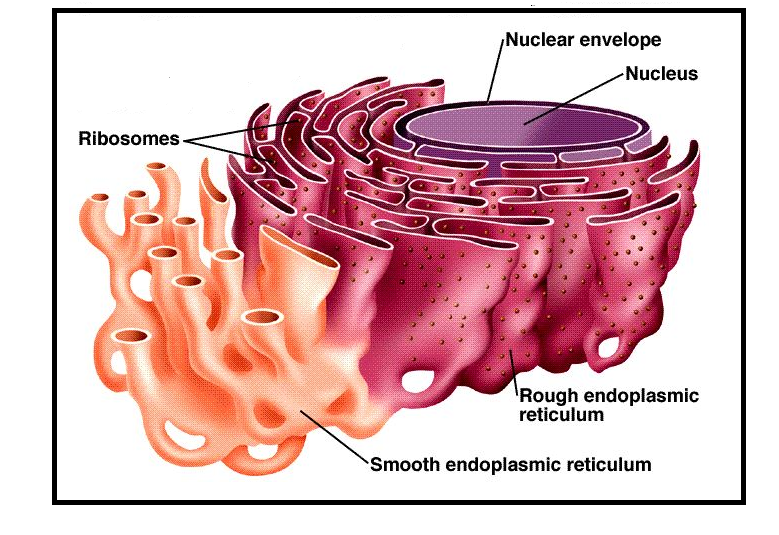 The outer membrane is continuous with the ER and contain ribosomes on it. The space between the two membrane is known as Perinuclear Space. The two nuclear membrane are interrupted by minute pores known as Nuclear Pores, which allow only certain molecules of particular size to enter the nucleus. The nuclear matrix is known as Nucleoplasm. Nucleoplasm is composed of chromatin and nucleolus. 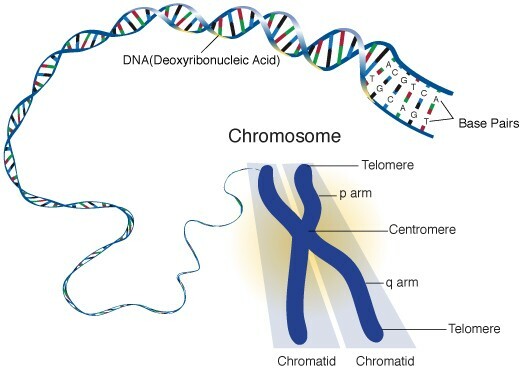 Chromatin is a network of DNA surrounded by proteins known as Histone Proteins. During interphase (no cell division), the genetic material exists in the form of chromatin. At the time of cell division, the chromatin becomes compact and forms chromosomes. Chromosomes contain constriction known as Centromere. RNA synthesis occurs in the nucleolus. 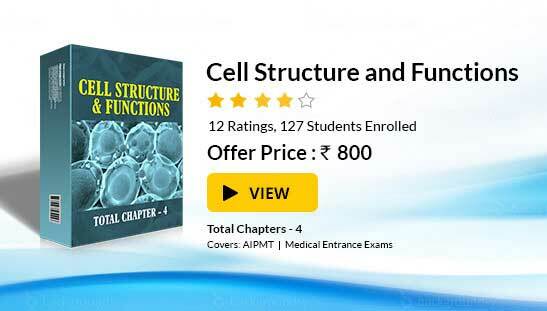 To read more, Buy study materials of Cell: The Unit of Life comprising study notes, revision notes, video lectures, previous year solved questions etc. Also browse for more study materials on Biology here.